This was for the 30 Days of Colour Challenge: Bright. Naturally I tapped into my Sinful Color’s Neon Collection nail polishes, but since I didn’t paint my nails white first they are not quite as bright as they could have been. Considering how hard of a time my phone camera had trying to capture their picture that is probably a good thing. 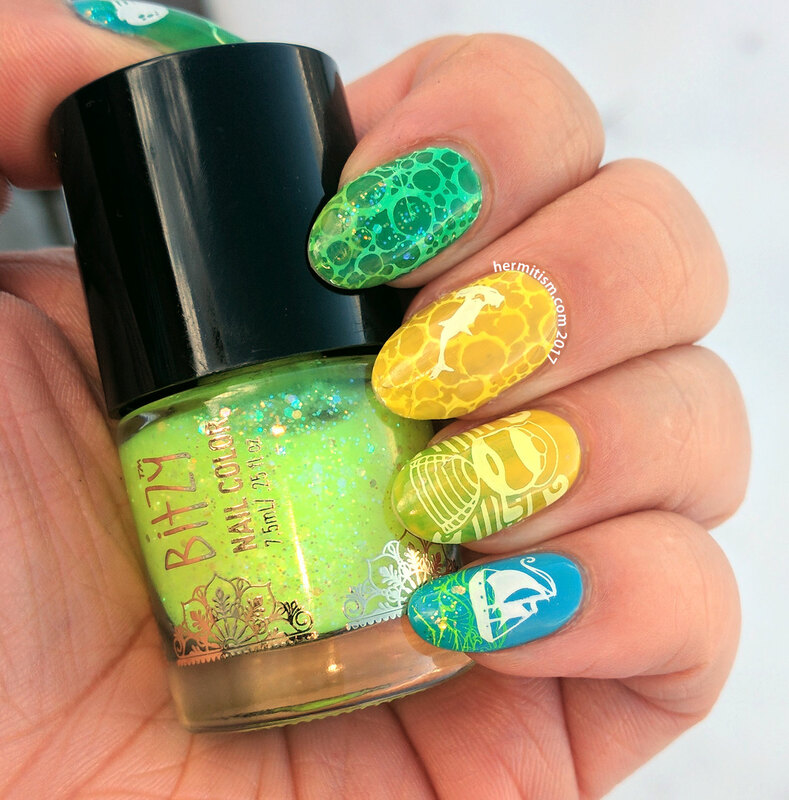 Since the point of the Colour Challenge is to use things from your stash for the first time, the neon yellow polish in the photo is something I haven’t used before as well as one of the nail stamping plates. I sketched out the design a few months ago and just haven’t gotten around to it until now. To my surprise, I actually stuck to the original concept on all five nails including making this a pond manicure. It feels like a kind of miracle that I didn’t make advanced stamping decals this time. I still clung to my other theme of gradients on the base colors. Items in italics are being used for the first time. I’ve also been digging more into custom taxonomy instead of having a huge tag list of all my stamping plates and polishes. So far I have the capability set up, but it looks like I need to work on some templates before they will be viewable to the public. Then I will go through and slowly re-tag all of the blog posts and try to add more interlinking as I go. I probably should have started this work in December, but I just did not have the energy at the time. Also, I am unhappy with my categories again so those will be changing soon too. Progress, though. Progress. If anyone is interested in a tutorial on how to do all this for their WordPress blog, please let me know. I’d be happy to go into more detail. 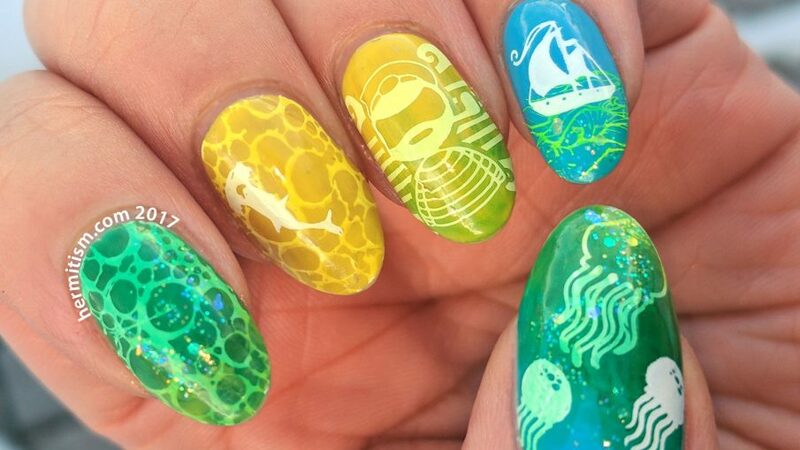 I love the pond/jelly effect on this mani! Super bright and fun! I love this! Bright and refreshing! Thank you. I never thought I would enjoy neon polishes as much as I do now.